Does anyone know where to get this from? I asked most electrical stores in meena bazaar - no one had a clue. And I don't think any of us have, either. As in WTF you're on about. 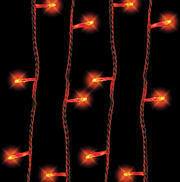 ahh- fairy light curtains- why didn't you say so.... try dragonmart! yes! fairy lights... but outdoor... outside the whole apartment... 5 meters x 10 meters drop.... ! ill check out dragonmarttt! thanks! Christ, is it Diwali already??? Is the electricity here different or something, I get through light bulbs at an alarming rate--sometimes 2 popping in unison. a simultaneous light bulb popping!! You're looking sexier than ever, Patsy--d'you think I should change from screw-fits to bayonets?